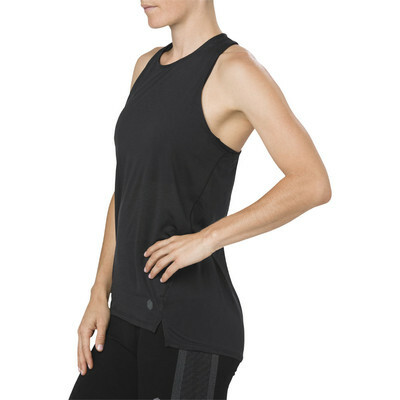 Get comfort, cadence and a sleek silhouette, in this ventilated running tank from Asics. Envelop yourself in radical breathability. 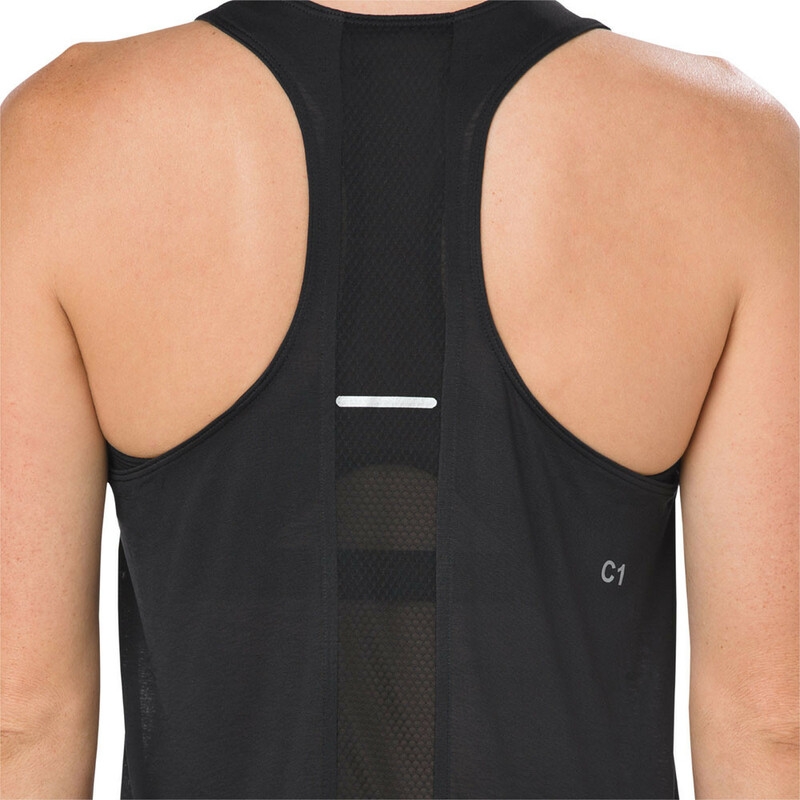 C1 functional fabric is cool to the touch and wicks sweat away from the skin for quick evaporation; so you stay damp-free and comfortable on hot, longer distance days. A racer back frees up your arms and shoulders to let you power on up those inclines with ease; because your clothing choice should never inhibit your natural movement. 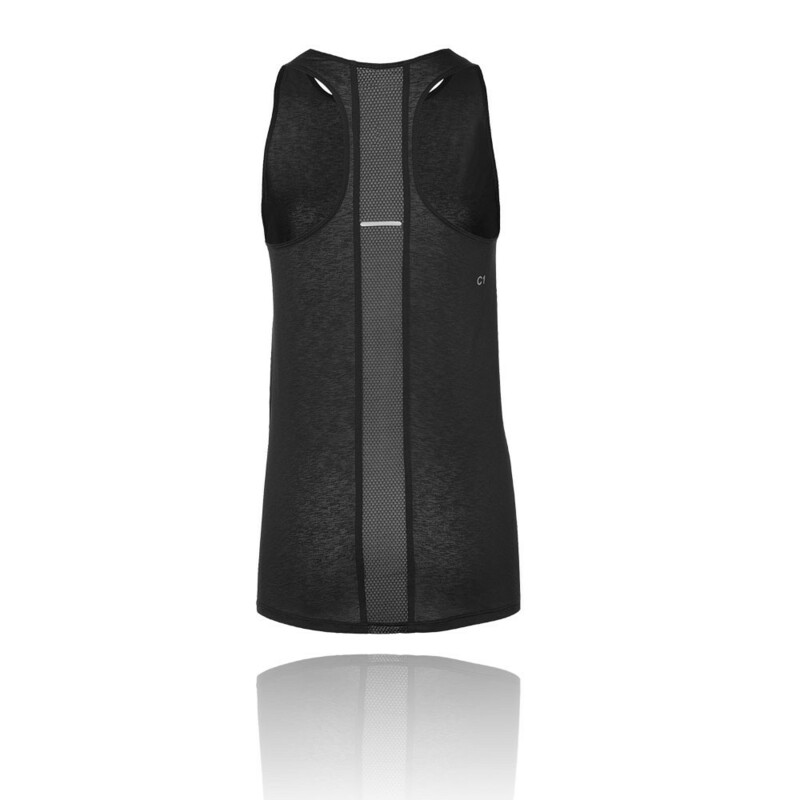 Mesh runs down the centre-back to improve airflow, eliminating intolerable heat buildup to keep you cool and focused during intense exercise. Reflective elements complete the garment, increasing your visibility to passing vehicles and keeping you safe on those low-light adventures. D1 - Quick drying fabric, wicks moisture for exceptional comfort. 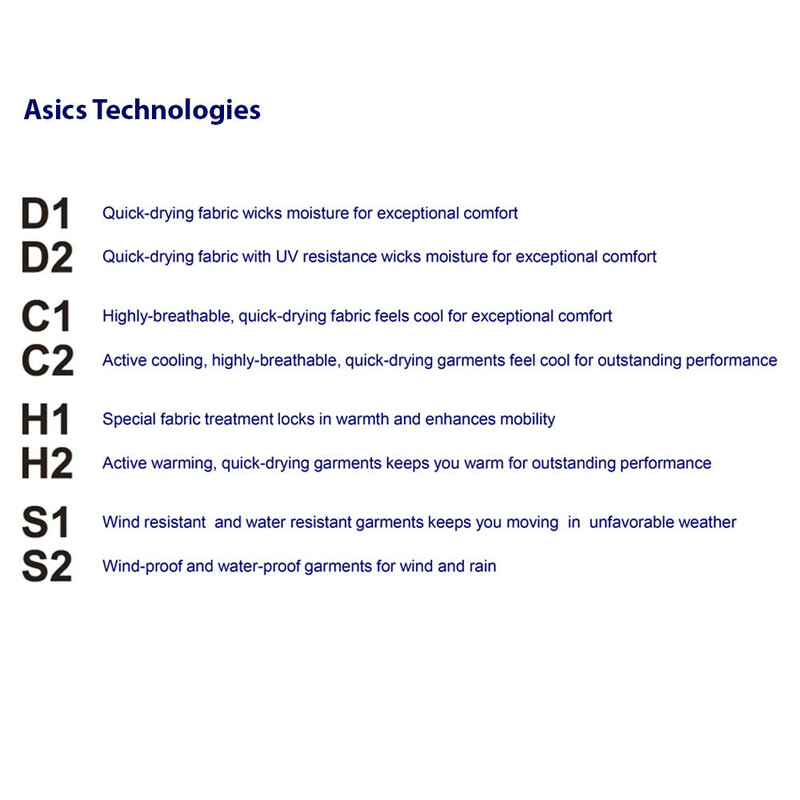 D2 - Quick drying fabric with uv resistance, wicks moisture for exceptional comfort. C1 - highly breathable, quick drying fabric that feels cool for superb comfort. 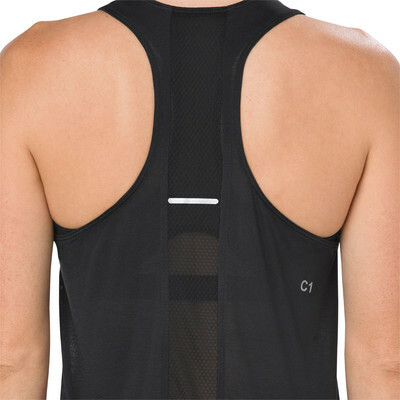 C2 - Active cooling, highly breathable, quick drying fabric that feels cool for outstanding performance. H1 - Special fabric treatment that locks in warmth and enhances mobility. 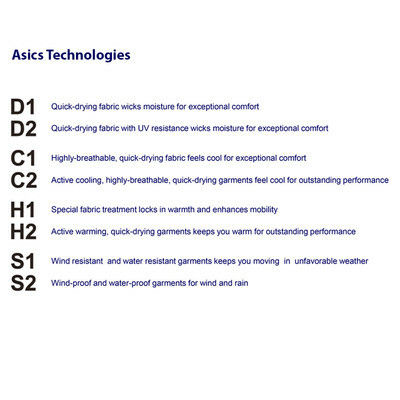 H2 - Active warming, quick drying garment that keeps you warm for outsanding performances. S1 - Wind resistant and water-resistant material that keeps you moving in unfavourable weather. S2 - Windproof and waterproof material for exceptional weather protection. 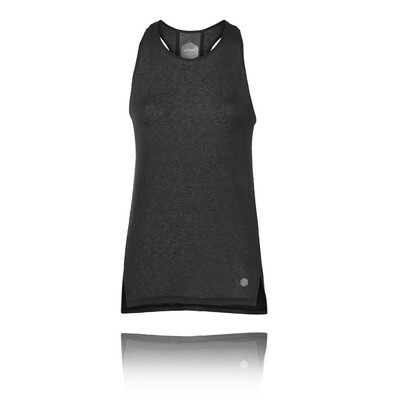 C1 fabric - Highly breathable, quick-drying fabric feels cool for exceptional comfort. 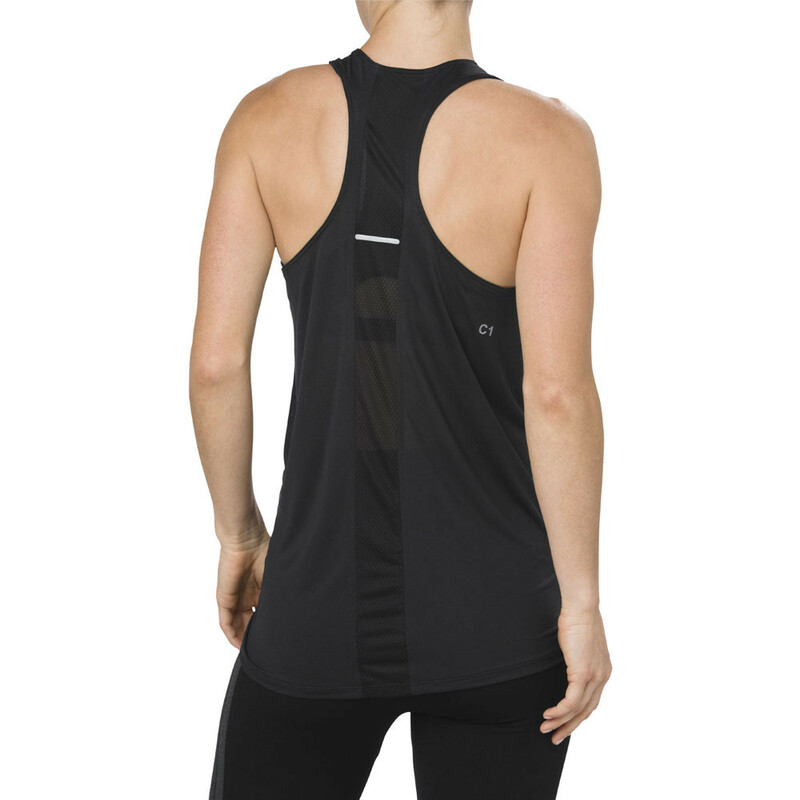 Racer back - Improves mobility. Mesh back panel - Enhances ventilation.